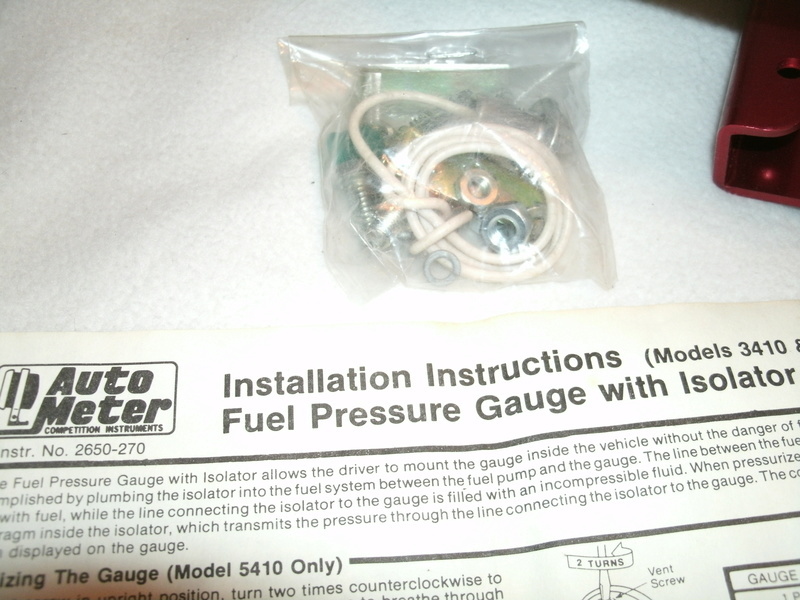 Autometer 3410 Sport Comp Fuel Pressure Gauge WITH Isolator NEW IN BOX. 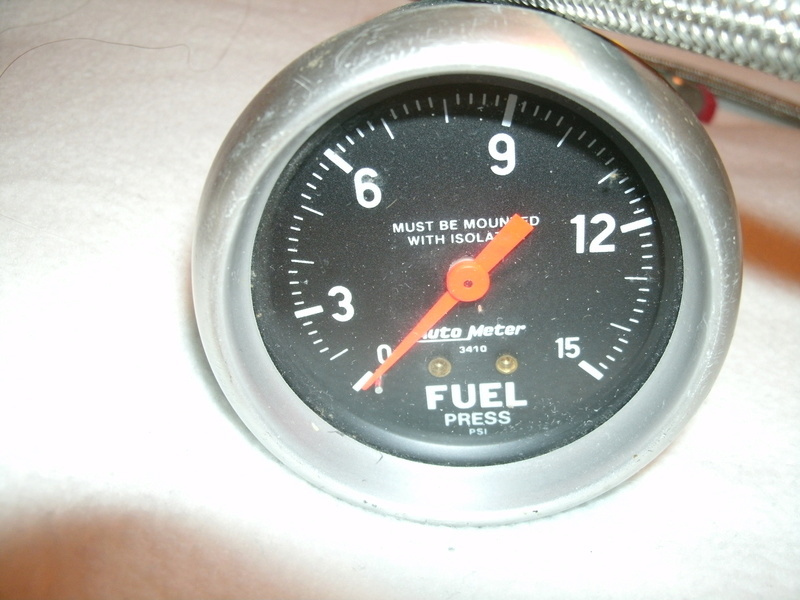 0-15 PSI Black Face. 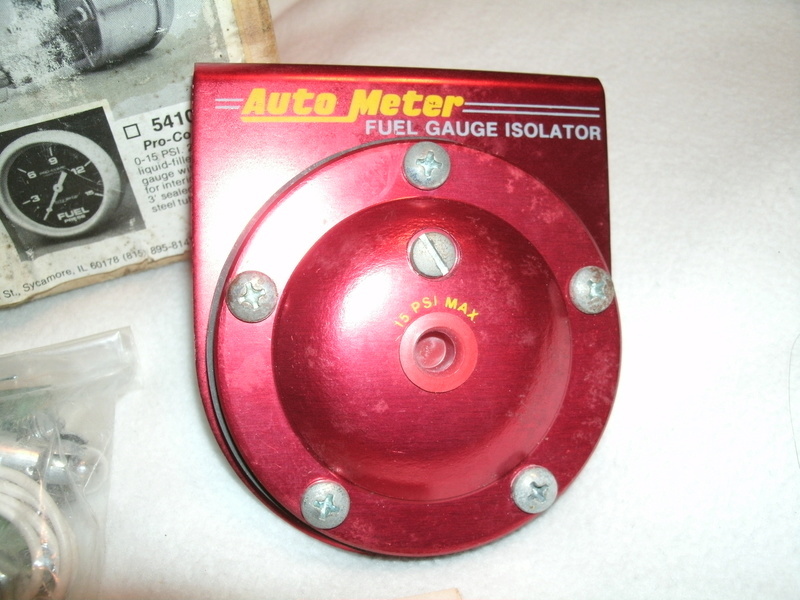 Gauge is 2 5/8" diameter. This allows you to put your fuel gauge INSIDE your car and not have the risk of a fuel line bursting and filling your car with gas. Found this stored in the back of my cabinet while cleaning up. 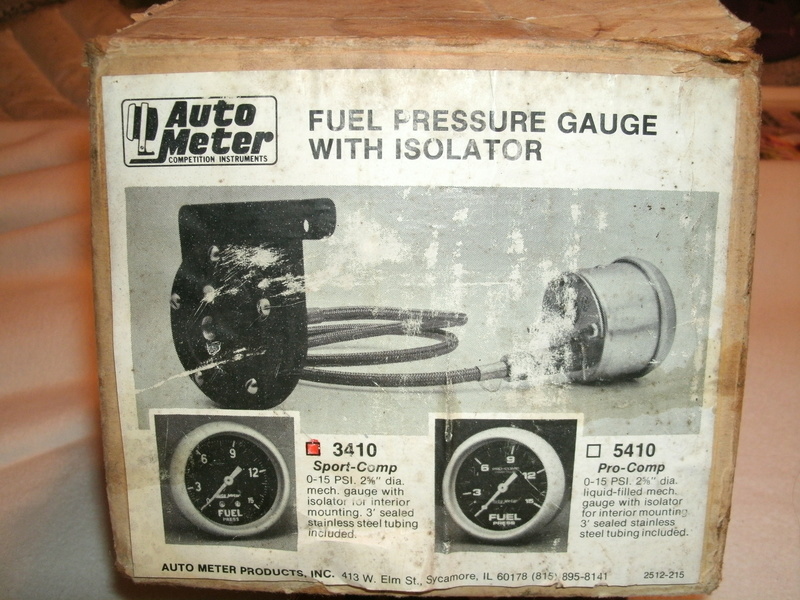 Gauge and all parts are new in box. Braided line with the liquid still sealed as new. Accessory bag with bulb and socket and misc. screws and nuts is unopened. Instructions are also present. 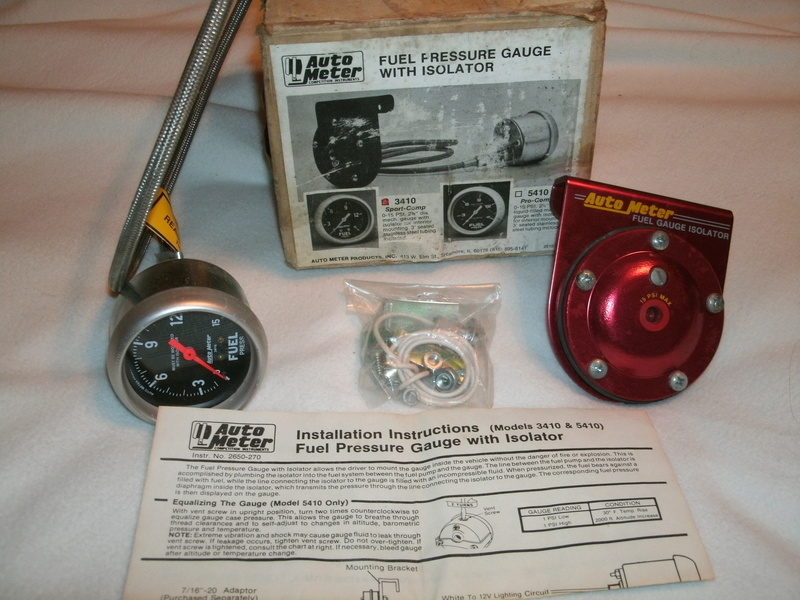 Id like to purchase the fuel pressure kit you listed. My address is 2218 S. 369 th dr. Tonopah, Az. 85354. Please let me know what shipping will be, and how you would like you payment. Thank You, Daniel. SOLD. Mods can delete. thanks guys.